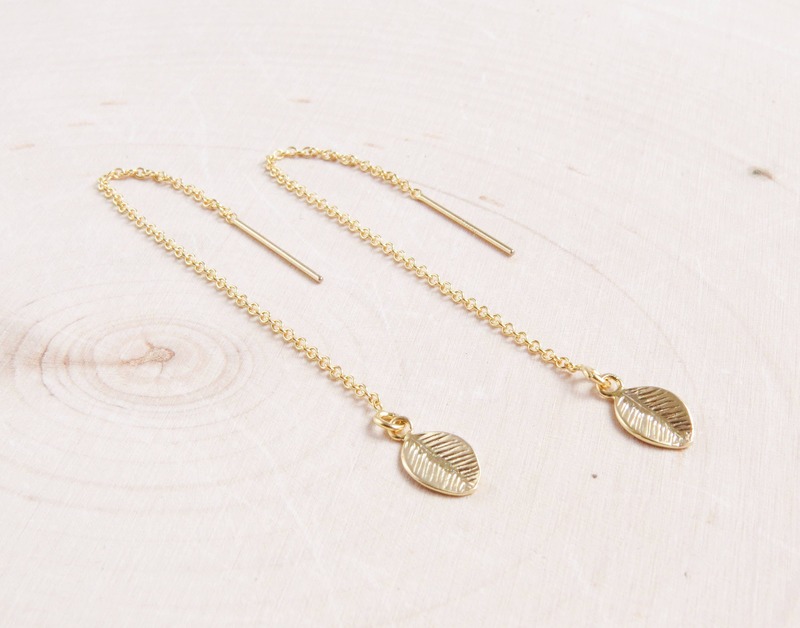 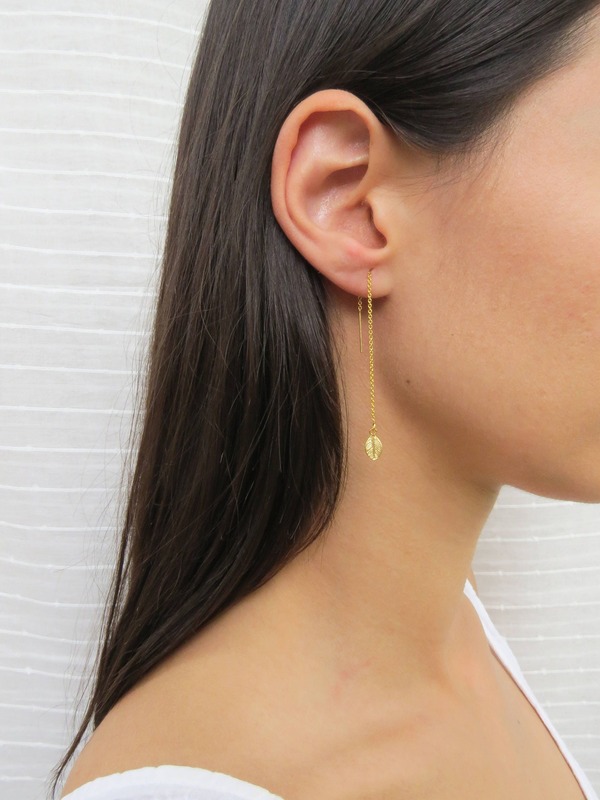 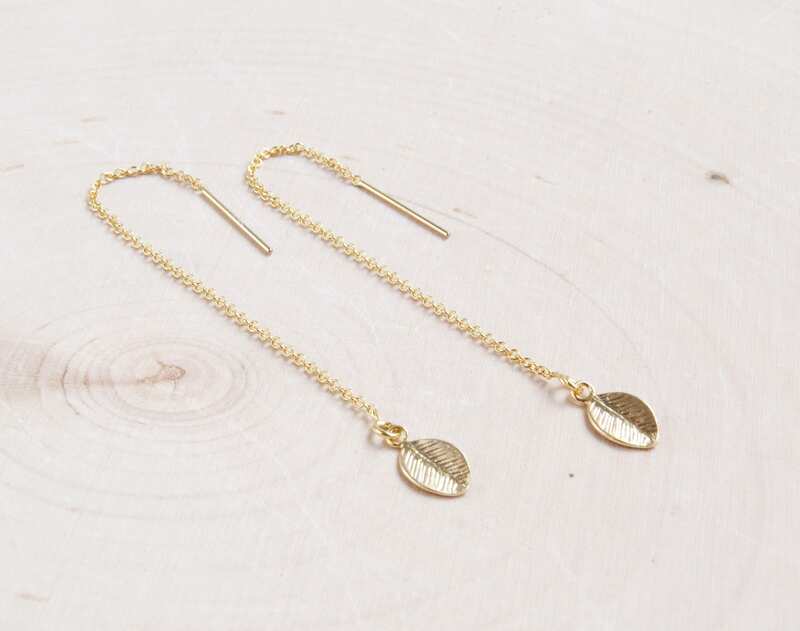 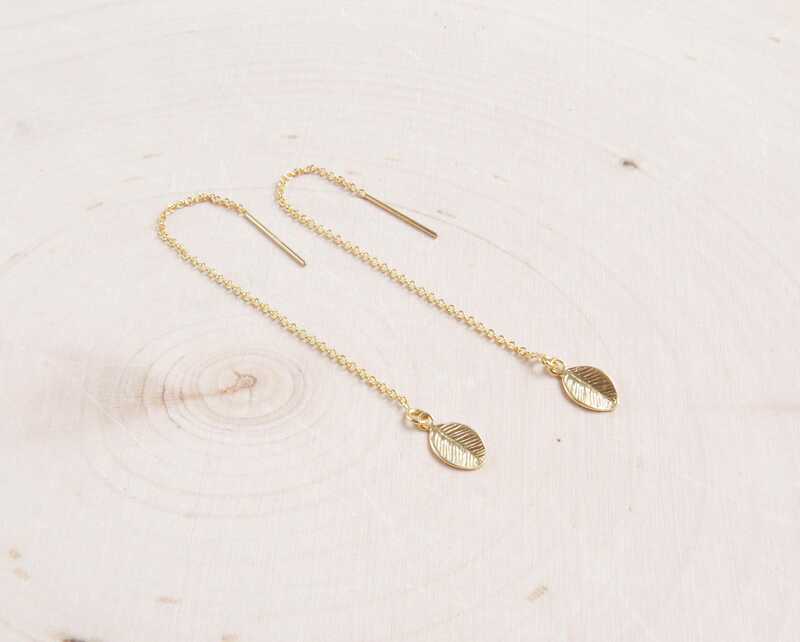 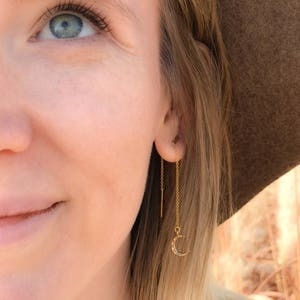 14k Gold Filled or Sterling Silver Threader with Tiny Leaf Charm. 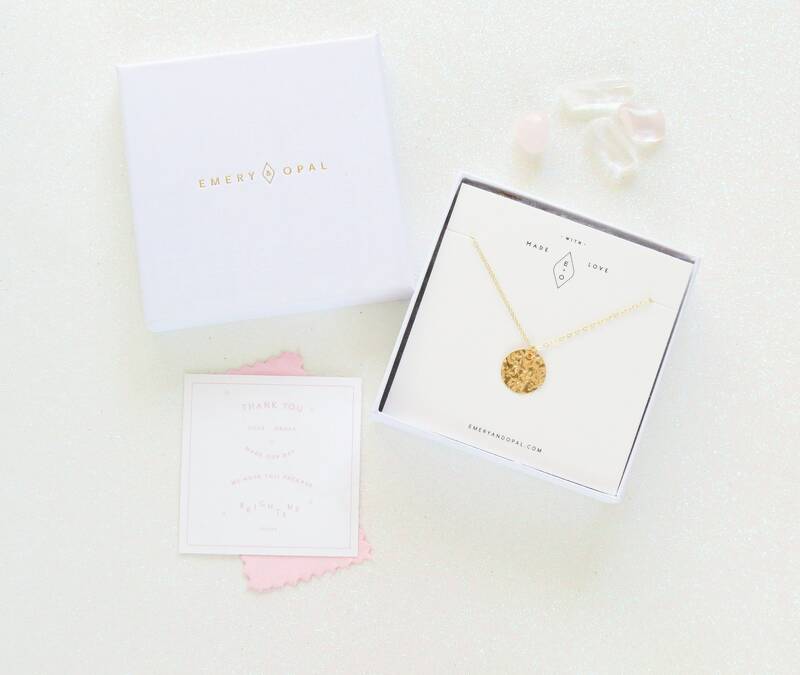 Can be personalized with a hand stamped initial. 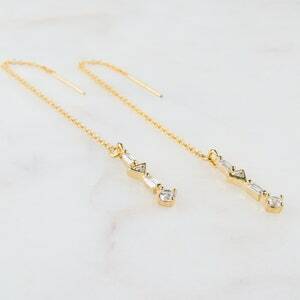 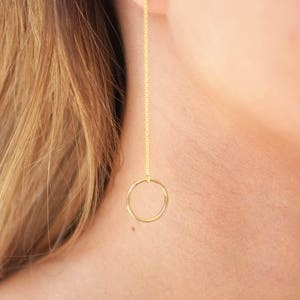 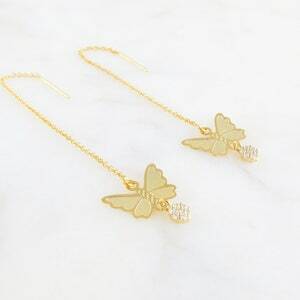 •	PENDANT is Gold Plated, measuring 0.4" x 0.25"
•	PENDANT is Silver Plated, measuring 0.4" x 0.25"